Concerns about patients' safety have been raised at a GP surgery amid fears vaccines were not stored at the right temperature. 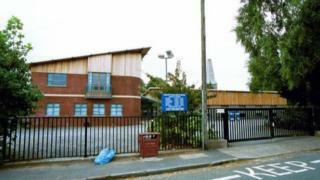 The Care Quality Commission (CQC) said Charlotte Keel Medical Practice in Easton, Bristol, also failed to label and store clinical waste properly. The CQC gave the practice an overall rating of requires improvement. The practice said it "took on board" the watchdog's findings and would be taking necessary action. The CQC rated the 11-strong GP surgery as good for providing caring, responsive and well-led services. But the inspection at the surgery, which has 17,000 patients on its books and is run by BrisDoc Healthcare Services, revealed it also needed to improve the way it treats people with long-term conditions and those with mental health problems. The report added: "The practice had clear systems to manage risk so that safety incidents were less likely to happen. "When incidents did happen, the practice learned from them and improved their processes." A report to Bristol, North Somerset and South Gloucestershire CCG's primary care commissioning committee, said: "The quality team has spoken to the practice manager who gave assurance that an audit process has been put in place to ensure the monitoring of the vaccine fridges. "NHS Properties has been contacted with regard to the clinical waste management." The Local Democracy Reporting Service contacted BrisDoc for comment but did not receive a reply. A statement on the practice's website said: "We take on board all of the feedback from the Care Quality Commission and look to action any of the areas that they suggest we can improve."